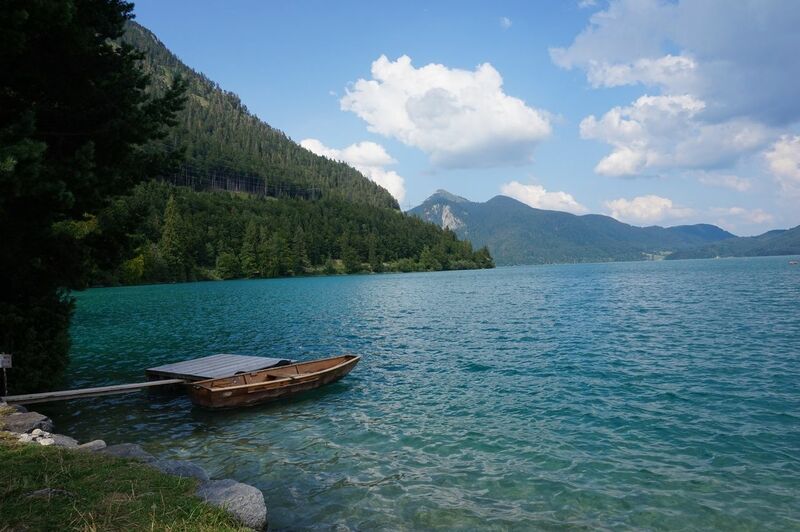 Imagine a lake with crystal clear and turquoise blue waters surrounded by beautiful mountains. 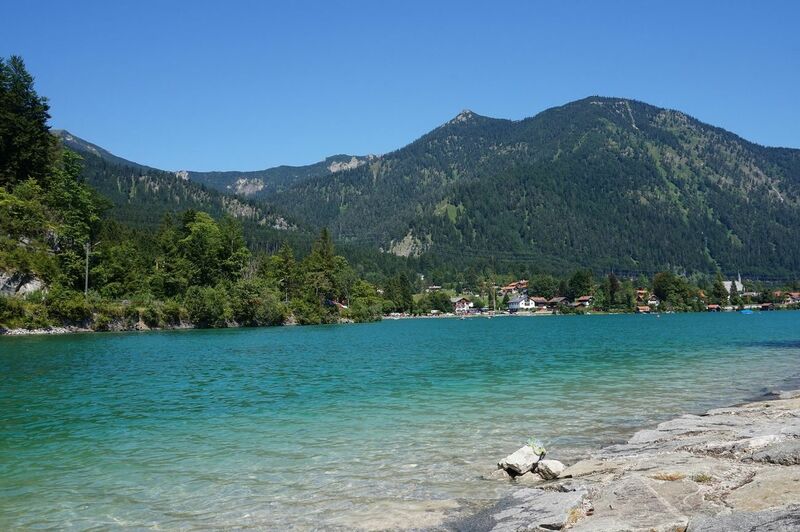 Imagine small little, red-roofed Bavarian houses nestled between the blue of the lake and lush green forests. Imagine the sound of cowbells ringing and birds singing while seeing the snow-capped mountain range of the Alps standing majestically in the distance. We were amazed. Amazed by the beauty and tranquility of this place that we were fortunate enough to visit last summer. 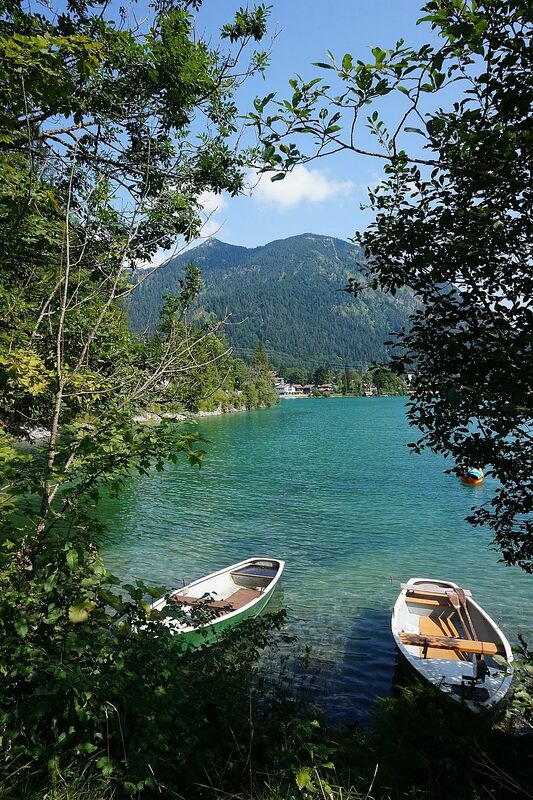 Just a short, 1-hour ride away from Munich lies the Walchensee – one of the cleanest, largest and deepest of all alpine lakes in Germany. 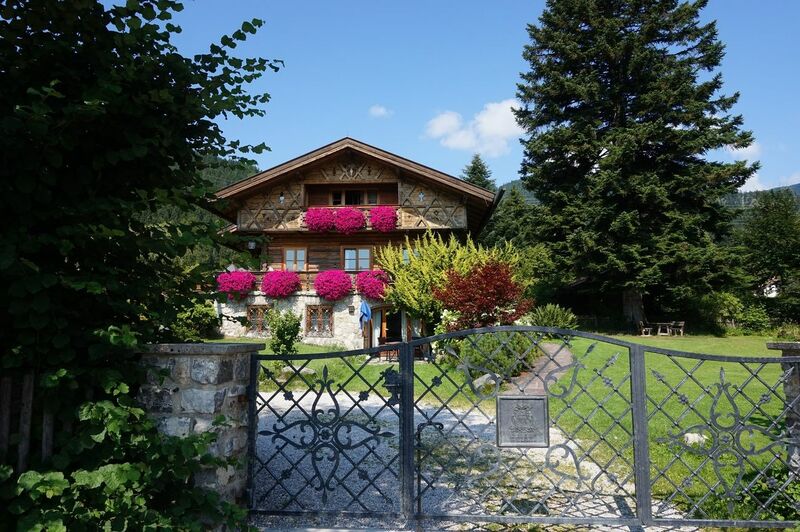 It is located in the heart of the Bavarian Alps in the municipality of Kochel. We decided to spend a few days here to explore the lake and its beautiful surroundings. This time we were not up for staying in a hotel or hostel but instead went for the full outdoor adventure and did some camping. 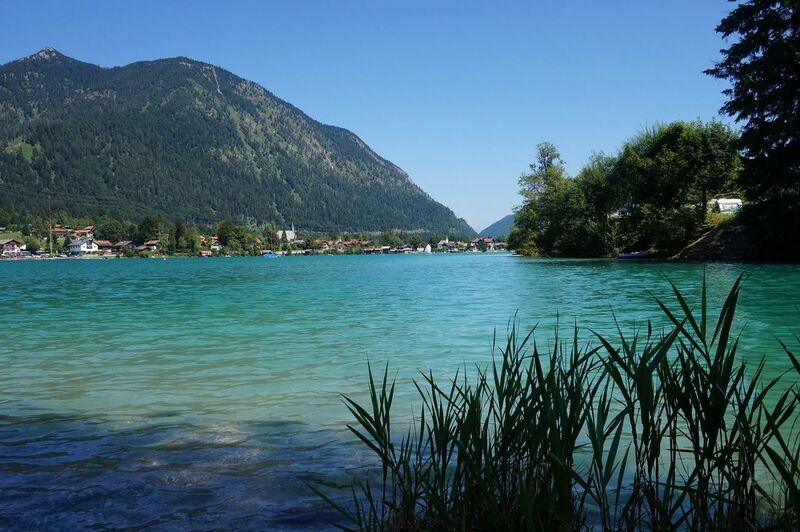 The lake offers some great camping areas, one of them located directly at the shores of the lake called Camping Walchensee. It was such a nice spot and a great point for discovering the area. What we enjoyed the most is the variety of things that you can do here. 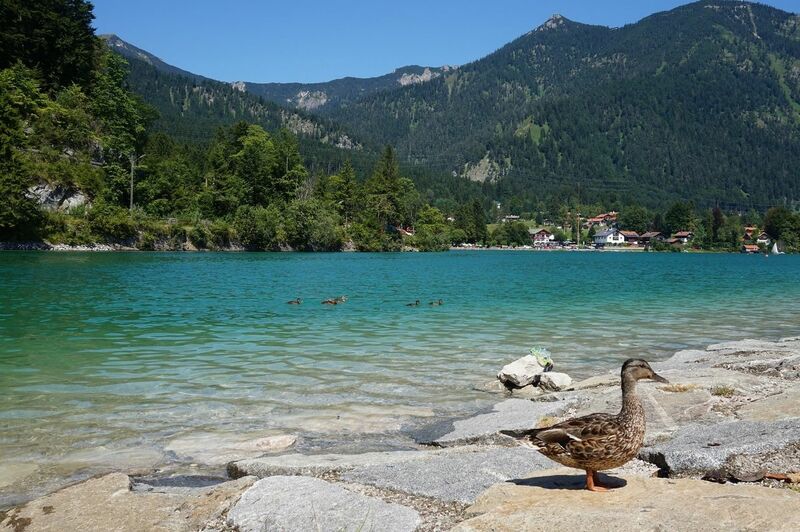 Not only is this a great spot for hiking the mountains but also for riding a bike around the lake or enjoying a refreshing and cool dip in the clear water. 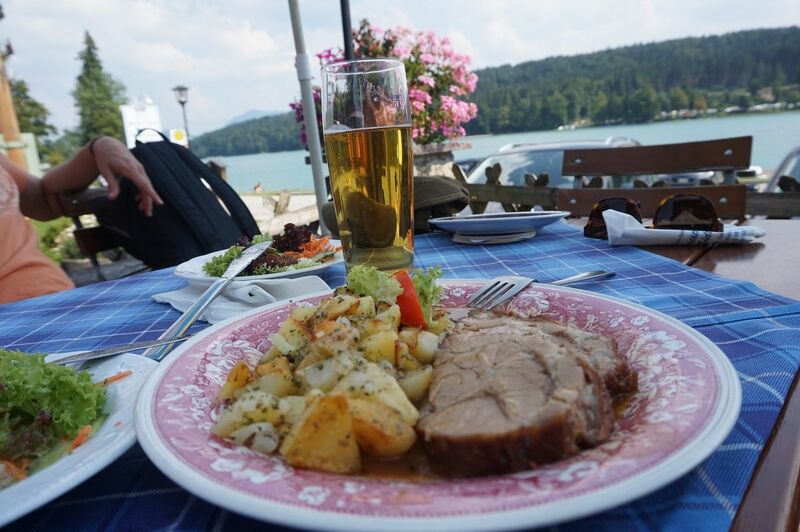 You can also enjoy a nice boat ride or just stroll through the small town of Walchensee and enjoy some delicious Bavarian food and beer. 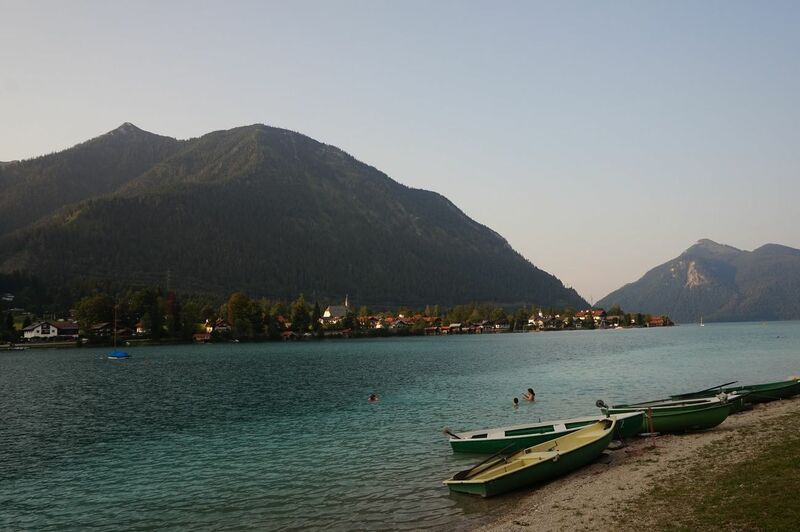 We especially enjoyed the swimming and also took a bicycle to discover the shores of the lake. 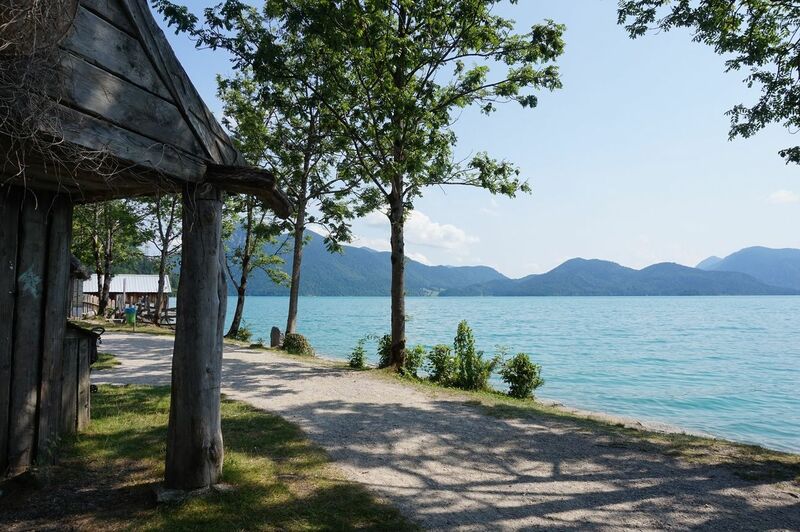 The lake has an area of over 16 square kilometers – have this in mind if you decided to cycle all around it! Lakeside view – remains of a small viking village built for a movie set. 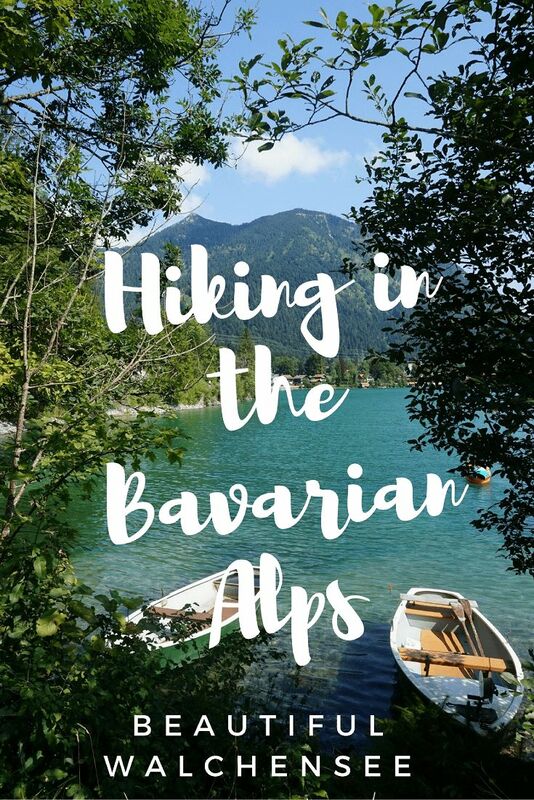 We always wanted to go hiking in the summer and found this place to be just perfect to do so. 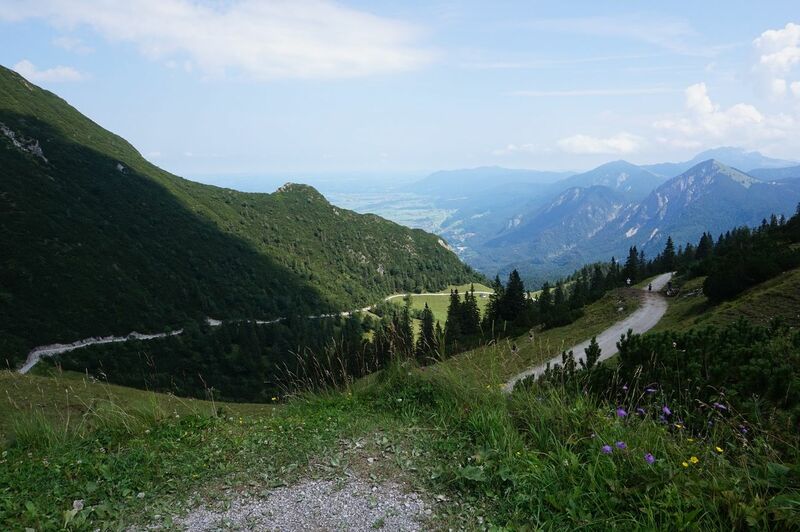 The camping area lies close to feet of the Herzogstand, a mountain with an elevation of roughly 1.700 meters. 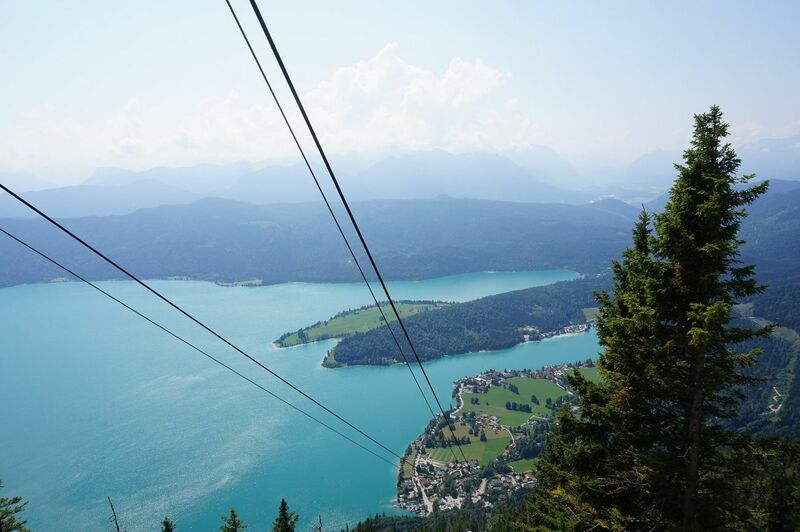 There is an aerial tramway that takes you up to the summit of the mountain from where you can continue climbing the other sides as well as the neighboring peaks. The views from the tram are breathtaking as you can see the entire lake along with the range of mountains in the background. 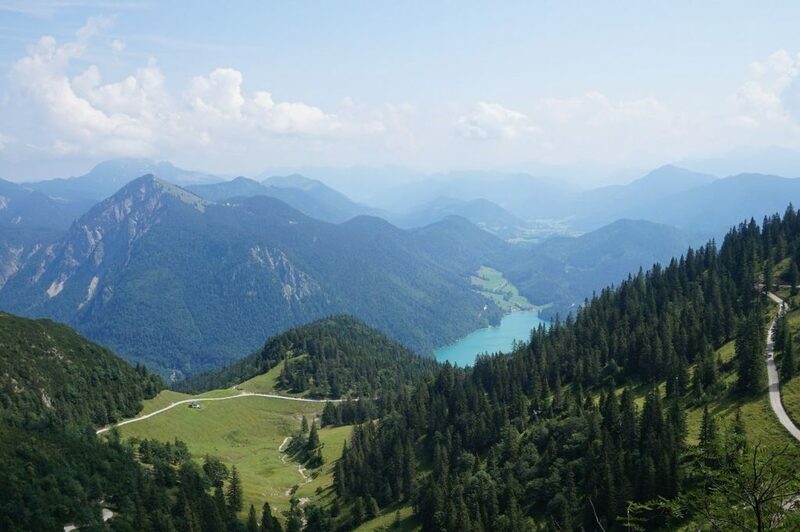 Once you reach the top you can take a good hike up to the viewpoint from where you can enjoy an amazing panoramic view of the Walchensee and its neighboring lake called Kochelsee. 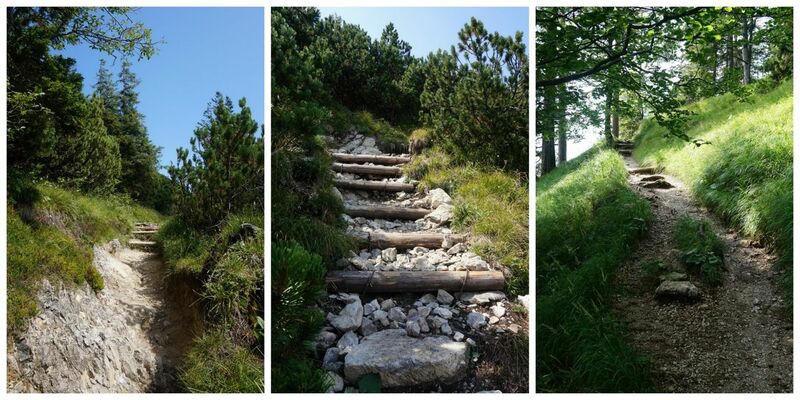 The hike is absolutely beautiful as you follow a path which snails its way to the top of the mountain. 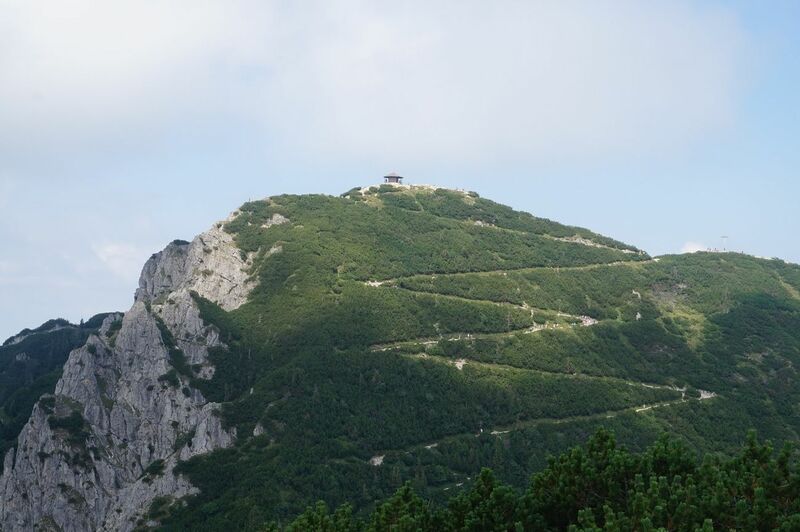 There are many different hiking paths that you can chose from, depending on your condition and time. We decided to take the walking way down which lead us through some beautiful paths with more fantastic views. 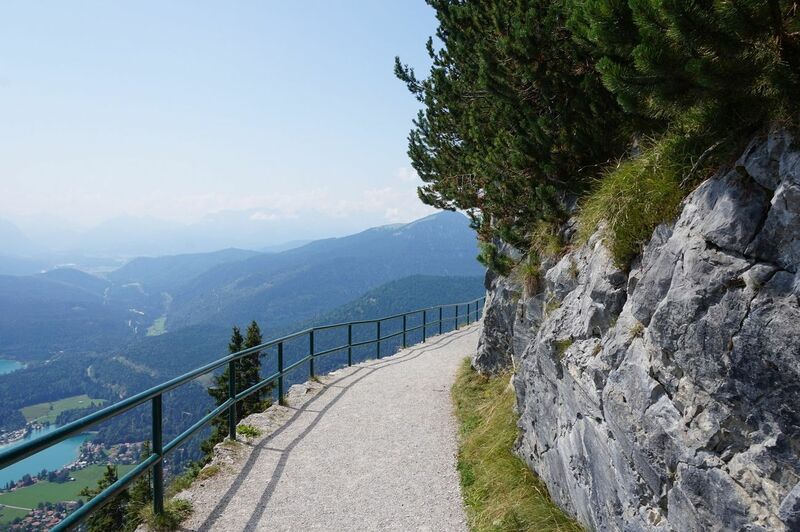 The hiking paths can be a bit steep at times but are all clearly marked and will bring you down the mountain safely. There are some small restaurants and cafes on the bottom where you can relax before you head back. 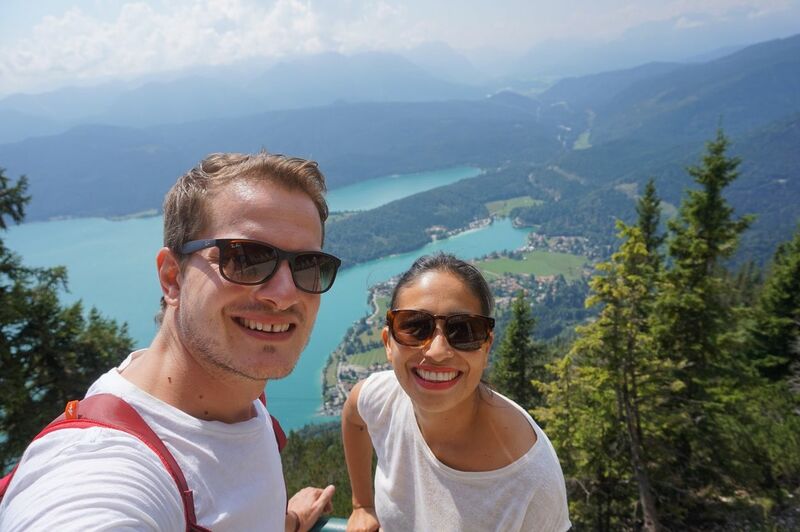 Our trip to Walchensee was absolutely filled with joy! 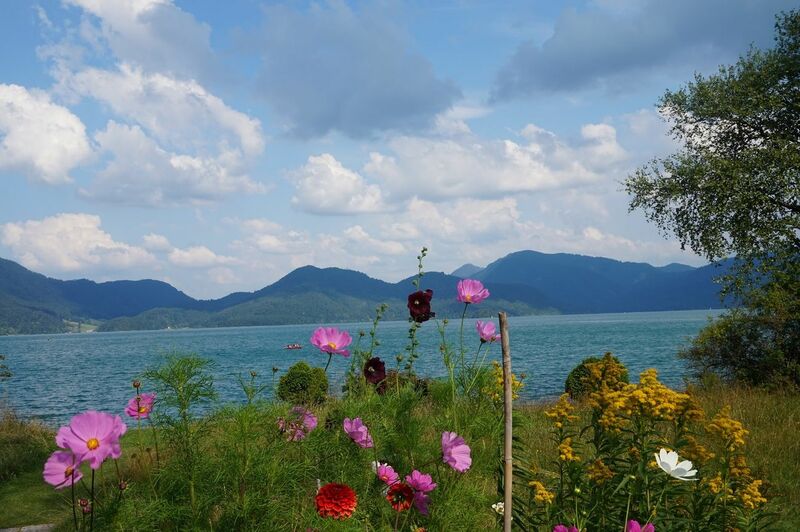 The area is incredibly beautiful and diverse and the lake definitely is one of the nicest we have ever visited. The mix of hiking and swimming is just perfect for an incredible summer retreat! I must say you have done full justice to the place with your words as well as lovely pictures. How long did it take you to hike till the viewpoint? I mean how long is the stretch. Thank you Pooja 🙂 I believe it took us just about 1 hour from the place we arrived with the tram to the top view point.